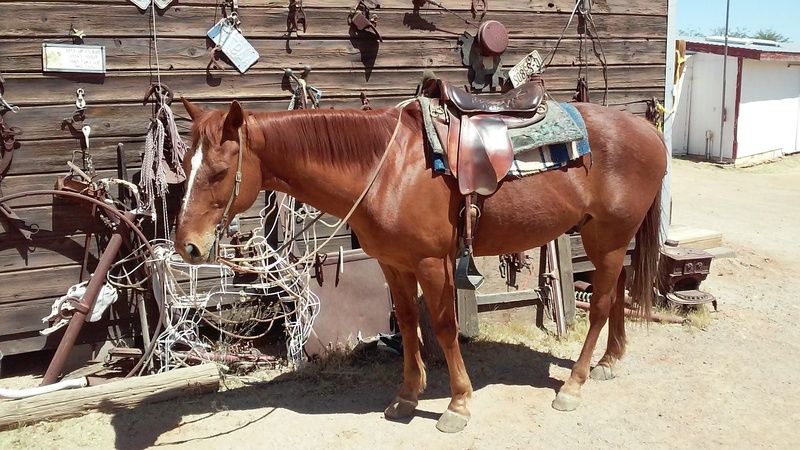 11 year old sorrel gelding, mixed bred, 15 hands 2 inches, 1100 pounds, medium build. WHAT I LIKE ABOUT SNAP DRAGON: He is easy to get along with and no tendency to spook, startle or bolt. He is willing and does not push to do things his way. Snap is very relaxed and a little lazy. We received Snap on January 1, 2015 with the snow falling in Tucson. We had purchased him a few weeks earlier in Kentucky and he was delivered on New Years day. We rode Snap for about 4 weeks then we put him in the line for guest use and he quickly became one of the wranglers favorites because he stayed up, did not pick on the other horses and was true to his job. 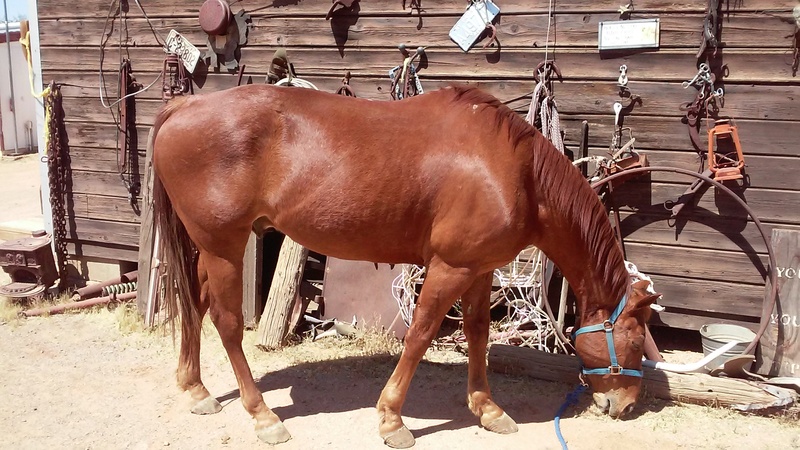 Snap has an easy going personality with people and other horses. He clips with no concern, has good feet, will stand quiet for mounting and dismounting, and will go where you point him. Snap is easy to catch, leads and handles nicely, stands quietly tied, no blemishes and no bad habits. He can be a little lazy if allowed to be but he will not push you to do things his way. Snap will make a great horse for a beginning rider, young rider, timid rider or an older rider who just wants a nice ride in the desert.